Are you constantly feeling disorganized, losing focus, or regularly running late? Maybe it’s not you. Maybe it’s someone else in your life that comes to mind – a child, a loved one, or even a client. ADHD is an increasingly common condition in the US, and according to the Centers for Disease Control, nearly 10% of American children (more than 6 million) have been diagnosed with ADHD. The National Resource on ADHD notes that ADHD often persists into adulthood, affecting approximately 10 million adults. While ADHD and related cognitive concerns can seem daunting, there are numerous holistic and herbal options that can help support those with these concerns. Are you looking for experienced guidance with herbal and lifestyle options to help navigate your way down this holistic path? The Herbal Academy has teamed up with Maria Noël Groves to bring you this Herbs for ADHD, Cognition, and Focus Intensive to do just that! This Intensive is also being held as a short course intensive in The Herbarium membership program – only $45! Attention deficit/hyperactivity disorder (ADHD) is an increasingly common condition in the United States, and according to the Centers for Disease Control (CDC), nearly 10% of American children (more than 6 million) have been diagnosed with ADHD. The National Resource on ADHD notes that ADHD often persists into adulthood, affecting approximately 10 million adults. We have good news for you! 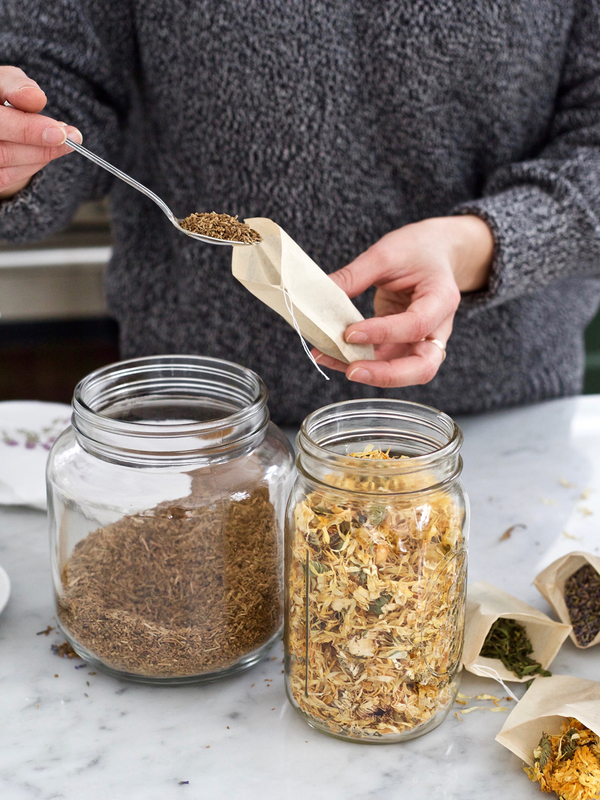 The Herbal Academy has teamed up with Maria Noël Groves and The Herbarium, our plant-focused membership website designed for herbalists, to bring you this Herbs for ADHD, Cognition, and Focus Intensive to do just that – for a limited time! Join us with Maria Noël Groves, author and herbalist extraordinaire, as we take a close look at attention deficit/hyperactivity disorder (ADHD) along with a careful selection of herbs to support those with ADHD as well as other cognition and focus concerns. This three-session series is comprised of three PowerPoint videos narrated by Maria with three accompanying written lessons. Along with lifestyle considerations, you will learn about 11 herbs with safety and dosage guidelines in this intensive so you will have suggestions to start applying what you’ve learned towards supporting those with ADHD as well as nourishing and balancing cognitive wellbeing. While the Intensive focuses on ADHD, the herbs and lifestyle information presented is appropriate even for those without ADHD. For example, you would like to learn ways to support your brain during the aging process or menopause, or when going back to school as an adult. The herbs don’t stop at ADHD – they can go further than that! By the end of the Herbs for ADHD, Cognition, and Focus Intensive, you will have a better understanding of ADHD and the herbs, nutrition, and lifestyle suggestions that can be incorporated into your family’s holistic lifestyle or your clinical practice to support people with ADHD and other cognitive concerns. Sign yourself up for the Herbs for ADHD, Cognition, and Focus Intensive. You will get immediate access to the Herbs for ADHD, Cognition, and Focus Intensive. However, you do not need to get started immediately if you’d prefer to take the Intensive at a later time. Just click your “Start Course” button when you are ready to begin. The Intensive is comprised of three sessions, which will become available to you one session at a time after you click start. The entire Intensive will take you 3 days to complete. You will get access to the intensive for 6 months once you activate your start date! The PowerPoint PDFs and transcripts of the Intensive can be downloaded to keep on-hand for your continued resource and reference! Once you complete the Herbs for ADHD, Cognition, and Focus Intensive, you will gain a badge of completion! A registered professional herbalist with the American Herbalists Guild, Maria Noël Groves is one of today’s leading herbalists and has worked with herbs for more than 20 years. She is also author of the popular book, Body Into Balance: An Herbal Guide to Holistic Self Care, one that we recommend in our top 5 Herbal Books, and Grow Your Own Herbal Remedies: How to Create A Customized Herb Garden. Through her practice, Wintergreen Botanicals, Maria focuses on education and empowerment through classes, wellness consultations, and writing with the foundational belief that good health grows in nature. As Maria notes in the Intensive, up to 40% of ADHD is likely due to non-genetic influences. So there is much we can do with diet, lifestyle, nutrition, and herbalism to support healthy cognitive behavior and soothe discomfort for people with ADHD, especially when that support is geared towards the individual’s patterns, root causes, and needs. So join us! The Herbs for ADHD, Cognition, and Focus Intensive is open for registration! With your enrollment into this workshop, you gain access to this entire 3-session series for only $39! The Herbs for ADHD, Cognition, and Focus Intensive is available on the Herbal Academy during limited time windows. You can also get this full Intensive along with a library of Intensive Short Courses included in your membership to The Herbarium! The Herbarium currently boasts of several exclusive Intensive Workshops – a growing collection! ✔ An ever-expanding collection of in-depth herbal resources including articles, presentations, videos, and podcasts from brilliant herbal minds from around the globe. “It is the best money I’ve ever spent… the information and educational aspect is priceless and saves me so much time when searching for specifics, for my homework, for my materia medica and so on. I can’t say enough how much I love The Herbarium site…” – Nancy B. Stop by The Herbarium to subscribe to our annual membership website, and get this Intensive along with all these exclusive resources and many more coming to you each month for only $45 a year. Or sign up for the ADHD Intensive as a solo workshop. Scroll to the top of the page to purchase! NO LONGER REGISTERING.